Here's our complete guide to finding your way to the Zoo by public transport. Whether you're coming by tube, bus, car or even waterbus this page has all the information you need. We always want to make sure that ZSL London Zoo is a safe and secure place to visit. In line with increased security measures being implemented across the UK, we will be carrying out bag checks at the Zoo entrance. We would also recommend, wherever possible, you leave large bags at home. 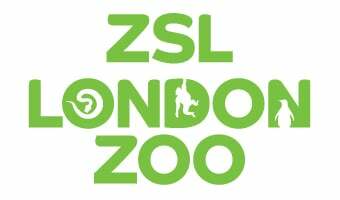 ZSL London Zoo is within walking distance of Camden Town and Regent's Park stations and short bus ride from Baker Street station. Follow this road until you reach the Zoo's main entrance on your right. Camden Town is the nearest tube station to ZSL London Zoo with its Northern Line connection. The nearest mainline station is Euston. At Euston Station go to bus stop G and take bus number 253 towards the Narroway/Hackney Central to Camden High Street. At Camden High Street go to Stop T and take bus number 274 towards Victoria Gate to ZSL London Zoo. Please note, if you are travelling over the Easter weekend, your journey may be affected by planned engineering works. Find out more here. Pick up the 13 from Victoria station (Stop H), to London Central Mosque (Stop N). It's then a 20-minute walk to ZSL London Zoo. Take either bus 2 or 13 from Victoria station (Stop H) to George Street (Stop K) and change here for the 274 bus. Alight at ZSL London Zoo (Stop J). The nearest London Overground station is Camden Road station. Turn right out of the station and follow Camden Road until you get to Camden Town Tube station. We have parking facilities, plus we're outside of the congestion charge. Please note Gloucester Gate will be closed to all vehicles from 28 October - March 2019 due to the relocation of a Thames Water main. Cars will be able to access the car park from all other gates as usual. Any vehicle entering via Avenue Road will not be able to directly cross Macclesfield Bridge onto Outer Circle but will be diverted to Hanover Gate and will need to follow the Outer Circle anti-clockwise to reach the Zoo. The Zoo is a great destination for cyclists - and arriving by bike has never been easier. We have a bike shed for public use in the car park opposite the main Zoo entrance. We also have two TfL Barclays Cycle Hire scheme docking stations - one in car park opposite the main Zoo entrance and also in the Zoo's main Gloucester Slips car park. ZSL takes no responsibility for any damage or theft of any cycles left in our cycle stands. It is the owner's responsibility to ensure that cycles are secured before leaving them. The London Waterbus Company runs a scheduled service along the Regent's Canal between Camden Lock or Little Venice and ZSL London Zoo. For full details call the London Waterbus Company 020 7482 2550.